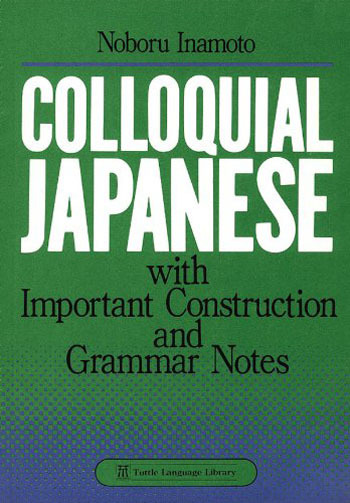 Описание: Colloquial Japanese, a systematic study, is based on the idea that a language is composed of fundamental paton the idea that a language is composed of fundamental patterns in the same way a building is constructed of bricks. Instead of theoretical rules of grammar, patterns of usage are systematically introduced to create live, useful language. These patterns are presented as they are used in daily speech by Japanese, then reinforced with additional examples and explanations. Just as each brick must be placed one after the other to construct a building, each pattern of Japanese is taught one by one, to build a sound structure for the mastery of the language. The essentials of pronunciation and intonation are clearly explained and diagrammed throughout the book. Each chapter includes important expressions for everyday use, as well as exercises and drills that provide a thorough command of new patterns. The student is taught first the most frequently used polite language, then introduced to both informal and superpolite language. A complete index of grammar points is included, and appendices serve as additional tools for study and review. Vocabulary lists contain all the Japanese words used in the book, as well as other important terms and expressions. The result is a complete course in basic Japanese, systematically and lucidly presented, designed especially for those wishing to improve their verbal skills. Очень-очень разжеванный (500! страниц) начальный курс японского языка без использования иероглифов (только ромадзи) с сильнейшим упором на грамматику. Грамматика в схемах, параллельный перевод, упражнения с ответами. Рекомендую заглядывать в соответствующий урок, если что-то в грамматике не усваивается.